David Drake was attending Duke University Law School when he was drafted. He served the next two years in the Army, spending 1970 as an enlisted interrogator with the 11th Armored Cavalry Regiment in Viet Nam and Cambodia. Upon return he completed his law degree at Duke and was for eight years Assistant Town Attorney for Chapel Hill, North Carolina. He has been a full-time freelance writer since 1981. 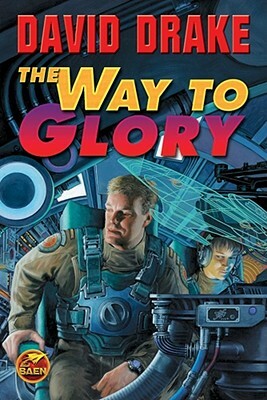 Besides the previous novels in the Lt. Leary series (with the Lightnings, Lt. Leary, Commanding and The Far Side of the Stars), his books for Baen include the best-selling Hammer¿s Slammers series (the most recent entry being Paying the Piper) and such stand-alone books as Ranks of Bronze, Starliner, All the Way to the Gallows, Redliners, and many more. For Tor, he has written the best-selling ¿Lord of the Isles¿ fantasy series, the most recent installment being Master of the Cauldron.